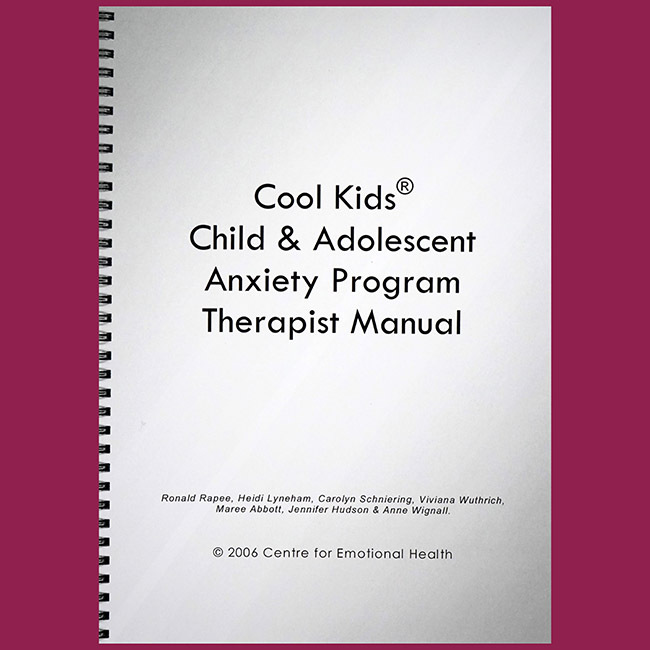 This therapist manual has been designed for use when conducting the Cool Kids and Adolescent Anxiety Program in the clinical setting. 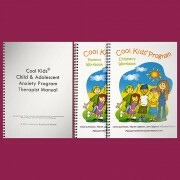 Suitable for use with children/teens ages 7-17 years. 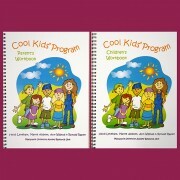 It describes in detail how to conduct each session of the program including exercises and comments to assist successful implementation. 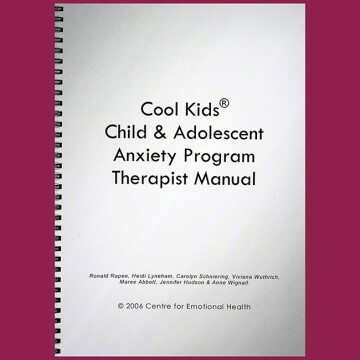 The therapist manual is to be used in conjunction with the child/parent or adolescent/parent workbook set. 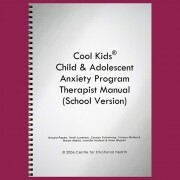 There is also a therapist manual for this program specifically written for use in the school setting. If you’re a clinician who wishes to run this program you must meet the minimum qualification requirements and complete training and accreditation. Details can be found here. PLEASE NOTE: A new version of this product will be released in early 2019 which will replace this version. Please take this into consideration when deciding how many items of this product you’d like to purchase.